Practicing certain behaviors will ensure that you are taking good care of the places where people fish. Never litter when you are fishing. Always bring a trash bag or other receptacle to use for the collection of your trash. You can easily deposit it in a nearby trash receptacle. Dump your refuse in properly assigned dumping stations instead of tossing it in the water. You do not need to spend much time figuring out the many ways in which this hurts the environment. As you fish, always use the correct type of bait and fishing gear. 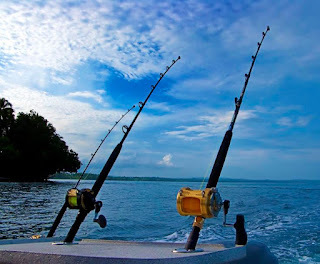 Certain areas allow for certain bait and gear. You will also encounter limits on the number, size, and kind of fish that you can keep. Become familiar with what these limits are and pay attention to them. Do not wait until you are at your fishing spot to search for what is allowed and what is not. Check with your destination before you head out on your fishing trip to see what the local regulations allow. If you plan on using a boat while fishing, research to see what kinds of watercraft are allowed where you are going to fish. As with all forms of hunting, safety is first. If you will be using a boat while you fish, always wear your life jacket. Make sure that your passengers wear their life jackets, as well. Be very careful when baiting and removing hooks. Make sure that you never fish on unauthorized waterways. Follow the posted speed limits and wake warnings that accompany the use of a boat. Bring with you all relevant safety items, such as water, flashlights, maps, and a cell phone.